Are galaxies giant magnets? Yes, but the magnetic fields in galaxies are typically much weaker than on Earth's surface, as well as more complex and harder to measure. 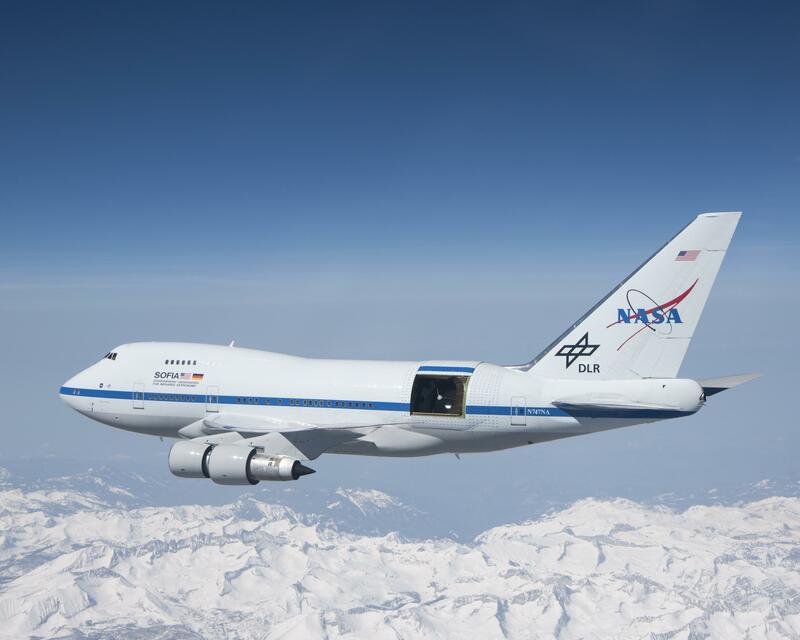 Recently, though, the HAWC+ instrument onboard the airborne (747) SOFIA observatory has been successful in detailing distant magnetic fields by observing infrared light polarized byreflection from dust grains. 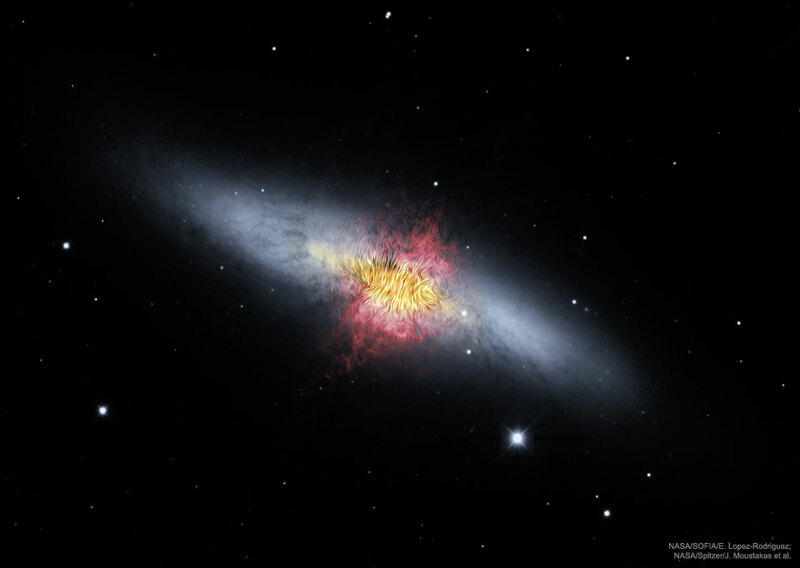 Featured below, HAWC+ observations of the M82, the Cigar galaxy, show that the central magnetic field is perpendicular to the disk and parallel to the strong super-galactic wind. This observation bolsters the hypothesis that M82's central magnetic field helps its wind transport the mass of millions of stars out from the central star-burst region. The featured image shows magnetic field lines superposed on top of an optical light (gray) and hydrogen gas (red) image from Kitt Peak National Observatory, further combined with infrared images (yellow) from SOFIA and the Spitzer Space Telescope. The Cigar Galaxy is about 12 million light years distant and visible with binoculars towards the constellation of the Great Bear. Image Credit: NASA, SOFIA, E. Lopez-Rodriguez; NASA, Spitzer, J. Moustakas et al.